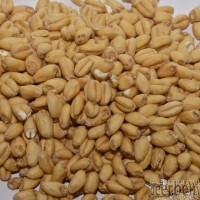 Bulk Grain - 25kg Bags Quality Home Brewing Supplies and Equipment, Adelaide - South Australia. We ship to your door Australia Wide. Purchase grain by the 25kg bag to save money on the per kilo price. Specialty malts need to be preordered. Prices are GST inclusive. Prices current as at 01/04/11 but may change without notice. Bulk rates for pallet/part pallet available upon request. If crushing is required, additional $5 per 25kg bag or $10 if bagged into smaller amounts.